Our range of products include 15 kg can seaming machine, manual tin sealing machine, square can seamer machine, can seamer machine, pet can seamer machine and tin can seaming machine. 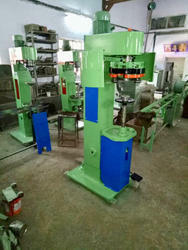 We are one of the leading manufacturers & suppliers of 15 kg can seaming machine. 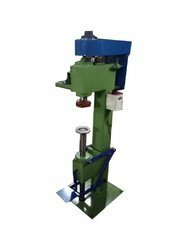 Minimum and maximum capacity of Locking 2 1/2" to 12 1/2"
Maximum Tins dia admitted capacity 8"
Minimum Tins dia admitted capacity 31/2"
We are one of the leading manufacturers & traders of Manual tin sealing machine. 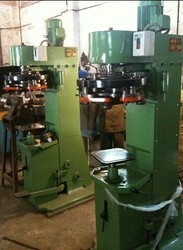 We are leading supplier of Square Can Seamer Machine. Client can avail this item from us at a reasonable price. 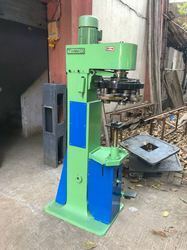 We are one of the leading manufacturers & traders of Can Seamer Machine. We are on of the leading manufacturers & suppliers of Pet Can Sealing Machine. 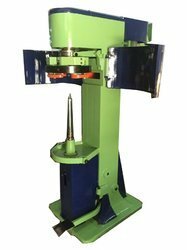 Case Dimension 82" x 42" x 32"
We are one of the leading manufacturers & suppliers of Tin Can Seamer Machine. Table Top can seaming machine, machine can seam tin cans , aluminum cans , pet cans , food cans , machine can seam 18/20 cans per minute.